As has become standard procedure for Democratic contenders, Booker posted a video announcing his campaign where he said he was "the only senator who goes home to a low-income, inner-city community" in Newark, "the first community that took a chance on me." However, the senator is coming off a string of embarrassing scandals that will likely be seized on by primary opponents: During one of the most memorable moments of the Kavanaugh hearings, Booker released 12 pages of confidential emails - purportedly risking censure or expulsion from the senate - which the Washington Examiner famously decried as a "total dud." 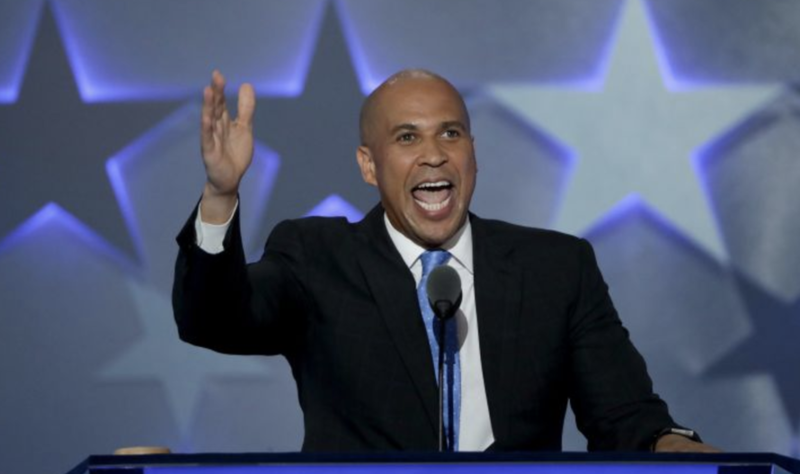 More ominously, Booker - who is reportedly dating actress Rosario Dawson - was accused of sexually assaulting a man in a men's restroom. If elected, Booker would be the first bachelor to occupy the White House in 150 years. With Democratic primary candidates tacking further to the left (something the conservative media has labeled the "AOC effect", we look forward to hearing the formerly centrist, corporate-friendly Booker announce his support for Medicare for all and a 70% marginal tax rate for people earning more than $10 million a year.